Responding to a Russian request the Serbian Defense Ministry is sending relief supplies to Aleppo where Russian warplanes have suspended their airstrikes to allow civilian residents and jihadist fighters safe exit from the besieged city. Thirty tons of vegetable oil, sugar, flour, clothing, footwear and medicine will be brought to Nis airport from where a pair of Russian transport planes will airlift them to Syria. In an interview with Sputnik, Ljuomi Miladinovic, the head of Red Cross Serbia, said there were several ways of delivering humanitarian cargoes. “This could be provided on a state to state basis or, say a national Red Cross handles the whole operation and sends the cargo to its partner organization in Syria,” Miladinovic said. He said that it was the Red Cross that helped deliver humanitarian assistance to Syrian refugees in Western Europe. Serbian Red Cross representatives recently took part in an international conference on migration in Moscow where they signed a bilateral cooperation agreement with Red Cross Russia. 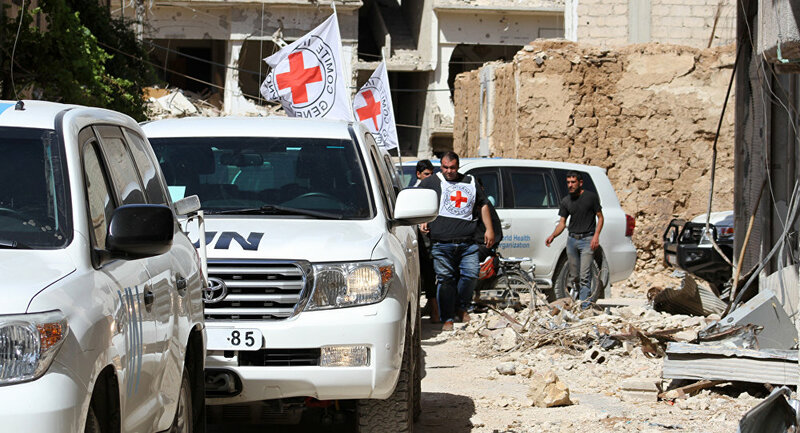 “However, there have been no contacts whatsoever between the Red Cross and the Red Crescent in Syria simply because until now there was nothing we really needed to send there,” Miladinovic continued. “There are other things the Red Cross takes care of, such as the search for missing family members and their reunification with their families. The largest number of refugees we have recently been dealing with come from Syria and here the Red Cross has done a great job helping these people get in touch and reunite with their loved ones,” he said. Belarus and Armenia have been quick to join in the Russian humanitarian operation in Syria with China, Azerbaijan, India and Kazakhstan also responding to Moscow’s call to help out.